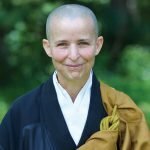 This talk was given during our annual New Year’s Eve renewal of vows ceremony. 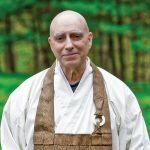 In it, Hojin Sensei urges us to use this new beginning as a chance to recommit to our practice and our lives, courageously acknowledging both our greed, anger, and ignorance and our generosity, wisdom and compassion. 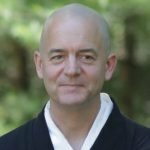 Gokan uses an early teaching of the Buddha to speak about the role of the past in our practice and the need to see the way in which our past shapes our present while still being able to let that go and rest in this moment. We apologize that the first few minutes of this talk were not recorded. 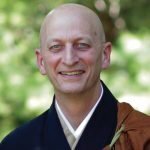 Shugen Roshi leads a discussion of the recorded lives and past lives of the Buddha’s first disciples, touching on the nature of religious narrative, Buddhist philosophies of karma and rebirth, and the importance of studying the ancestors. Unfortunately, a few minutes of this talk could not be recorded due to technical difficulties.